Adrian Mourby is an award-winning author and producer. He is also a journalist, writing for 25 publications worldwide, a novelist and hotel historian. Recently Adrian authored an illustrated book about places around the world that have inspired great works of literature. Rooms of One's Own was published in July 2017 by Icon Press and was recently Highly Commended as Narrative Travel Book of the Year by the British Guild of Travel Writers. A sequel, Rooms with a View was published in November 2017. Rooms with a View tells the secret stories of 50 grand hotels around the world. "This is a book to keep securely on your shelf, until the chance re-encounter with it perhaps inspires a travel of your own. The format of small essays is a mastery of concision, and you really can pick up a lot through just a few well-chosen words, as our author lucks into select rooms, or just pays the National Trust dues and ambles along on the industrial-scale tourism beloved writers can inspire. What we have here is a volume that really nails what it wants to set out and do – to such an extent it begs the obvious question, where was it written?" 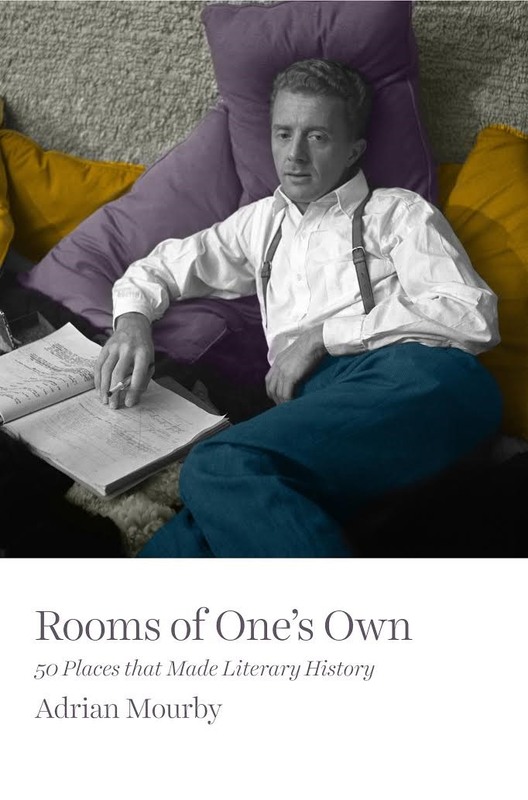 Adrian has lectured about Rooms of One's Own at the Ryedale and Oxford Literary Festivals as well as appearing at Dr Johnson's House in London to talk about the book. Below you can discover more about Adrian's career as a writer and as a producer, as well as his work in opera, in travel journalism and as a hotel historian. Adrian also organises the annual Freelancer's Christmas Ball in London, honouring talented writers who don't know where their next pay cheque is coming from - but who will spend it anyway. Adrian has published six books, including the novels We Think the World of Him (1996) The Four of Us (1997) Wishdaughter (2004). He wrote two series of BBC Radio 4's comedy Whatever Happened To...? the further adventures of various fictional characters for which he won the Sony Silver Award for Creative Writing on Radio. In 1997, his book Whatever Happened to ...? : The Ultimate Sequels was published with more such tales. Adrian has also written the new AA guides to Venice (2007) and Brussels (2008) and contributed to Michelin's Singapore guidebook (2009). For Dorling Kindersley Adrian has contributed to the Eyewitness Guide to Brussels and Bruges (2009) to DK's Make The Most of Your Time on Earth (2010) and the new Eyewitness Guide to Great Britain (2014). Wishdaughter is now available for download on Amazon Kindle. Two further novels Islands & The Desert and Faithful in My Fashion have been completed and will be published shortly. In total a five novel sequence is envisaged. Each book stands entirely on its own but the five can also be read in sequence. In 2017 Adrian wrote two books, the first was about 50 places in the world that have inspired great works of literature. Rooms of One's Own was published by Icon Press in June 2017 and was Highly Commended in the 2018 British Travel Writers' Awards as Narrative Travel Book of the Year. 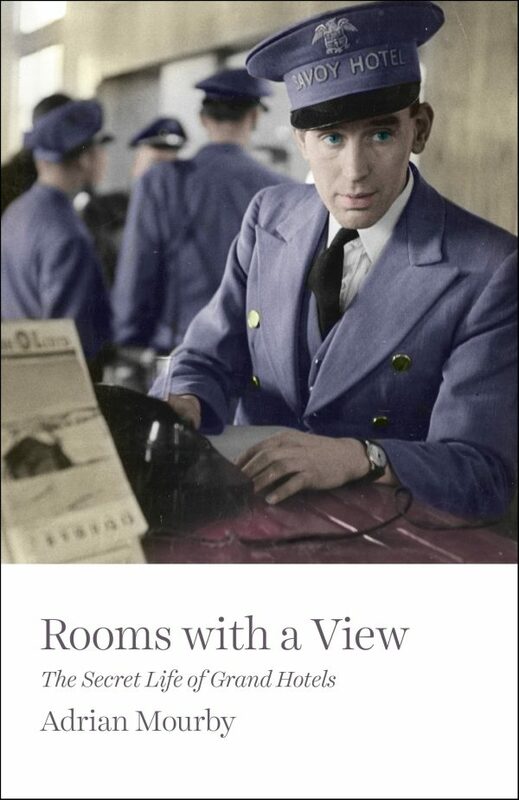 A sequel Rooms with a View was published in November 2017 and republished in paperback in 2018. Adrian was a BBC producer for twelve years, where, amongst various series and single plays, he produced the television adaptation of Kingsley Amis' The Old Devils. For these productions, he won numerous national and international awards [Smith/Kline 1982 / Sony 1985 / BAFTA Cymru 1991 / Golden Gate 1993 / BAFTA Cymru 1993 / Celtic Film Festival 1994 / New York Festivals 1994 / Sony 1995], before turning to full-time writing and broadcasting. In 2007 he won the Special Award for Opera Journalism, given annually by the Fondazione Festival Pucciniamo, Italy. In 2013 Adrian won Runner Up in the Italian Tourist Board Awards for his travel journalism and in 2014 he won Best Travel Article in a Magazine. In 2018 Adrian's book Rooms of One's Own was Highly Commended by the British Guild of Travel Writers as Narrative Travel Book of the Year. In 2008 Adrian produced The Grave's A Fine & Private Place a metaphysical evening in New College Chapel, Oxford with the actor Ian Hogg and full orchestra. Given its critical success, discussions are underway to revive this show in 2019/2020. Adrian is a prolific programme essayist working with opera companies in the UK and Europe, including Royal Opera Covent Garden, English National Opera, Welsh National Opera, Wienerstaatsoper and Grand Theatre de Geneve. His own opera productions include Semele (Malta 2002) Cosi fan tutte (Oxford 2004) Marriage of Figaro (Blewbury Festival 2006). He was also the creator and writer of Tristan and Matilda, a long-running comic strip in Opera Now magazine that came to end amid howls of protest from the readership. One correspondent called it, with admirable hyperbole, "a work of genius". In 2010 Adrian took part in BBC Radio 3's A-Z of Opera contributing to the letters H (for Heroes) K (for Kings) M (for Mad Scenes) V (for Verismo) and X (for Censorship). He also was "in conversation" before a transmission of The Abduction from the Seraglio during Radio 3's Mozart festival. For most of 2010 Adrian was part of an international panel, chaired by Danish composer Karl Aage Rasmussen, evaluating the work of Copenhagen's Royal Danish Theatre and its role as Denmark's national stage. In 2015 Adrian's opera essays appeared in programmes for Royal Opera House Covent Garden (Kingdom of Mahogany) English National Opera (Mastersingers and Indian Queen) Welsh National Opera (Hansel & Gretl) Scottish Opera (Orfeo) Garsington Opera (A Midsummer Night's Dream), Wienerstaatsoper (The Tempest) and Grand Theatre de Geneve (William Tell). 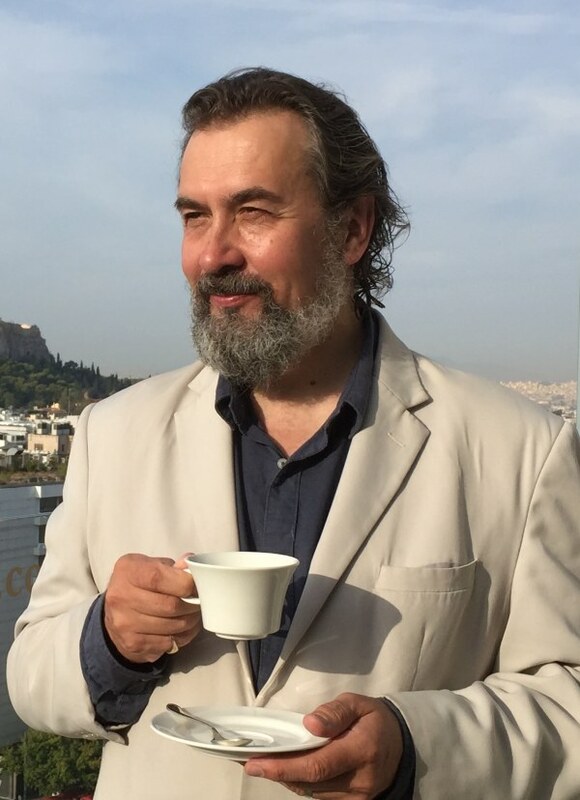 In 2016 Adrian wrote for Royal Opera House Covent Garden (Boris Godunov and Cosi fan Tutte) English National Opera (Sunset Boulevard) Welsh National Opera (The Figaro Trilogy) Scottish Opera (The Mikado and Marriage of Figaro) Holland Park Opera (Die Fledermaus) Opera North (Gotterdamerung) Grand Theatre de Geneve (Alcina) and Goteborg Opera (Madama Butterfly). The same opera companies have employed Adrian in 2017 and 18. He is currently writing for Royal Opera Covent Garden, Wienerstaatsoper and Opera North. In 2008 Adrian travelled to over 20 countries for a variety of British newspapers and magazines. His busiest month was August which took him to New York, Boston, Cortona, Lucca, Botswana, Zambia and Malawi. In 2009 the workload did not diminish with longhaul trips to Hawai'i and Colombia as welcome return visits to Zurich, Brussels and Italy. At the beginning of 2010 Adrian travelled to Istanbul, St Petersburg, Riga, Copenhagen, Quebec, Venice, Serbia, Morocco, Cairo and Brussels. In June 2010 he covered five countries and three music festivals in the space of three and a half weeks, flying directly or driving between Bologna, Rome, Sorrento, Puglia, Ravello, Almaty and Astana in Kazakhstan, Liepaja and Riga in Latvia, Tallinn and Paris. In September 2010 he travelled on the Orient Express from Istanbul to Venice from where he flew directly to the Arctic Circle and Copenhagen and then finally Curacao for its independence celebrations in October. In December he visited Shanghai, the Baltics and Helsinki. In October 2010 Adrian appeared at the Appledore Literary Festival to help launch Make The Most of Your Time on Earth. He also completed an extensive Oxford guide for Simon Seeks and then immediately flew to New Zealand to board an expedition ship for Antarctica. New Year was celebrated by crossing into the Antarctic Circle. After days at Cape Denison, Adrian returned to New Zealand via the Sub-Antarctic islands and then flew back via Hong Kong. 2011 included many trips to Amsterdam for the Sunday Times Travel Magazine, Brazil for The Independent on Sunday, Transylvania by train for The Standard and New York for various publications. His report on bullfighting in Portugal generated the biggest postbag of letters ever received by the Independent's travel desk. Another high profile moment was meeting Aung San Suu Kyi in Burma which he wrote up for three publications. 2012 began with New Year celebrations in New Orleans followed by visits to Flanders, Russia and Istanbul. Adrian and his wife were snowed in while visiting in Rome early in the year. In the spring they toured South East Asia visiting Bangkok, Angkor Wat and Ho Chi Minh City. Subsequent travels included Vienna, Munich, Prague and Milan. In June Adrian sailed from Spain to Italy on a five-masted clipper and recreated the course of the Mille Miglia from Brescia to Rome. In the Autumn he visited the Amalfi Coast and Peru, including a trip to Cuzco and Machu Picchu. Adrian was also the first UK journalist to visit Kosice, to discover its plans to be European Capital of Culture in 2013. 2013 involved more travels to Italy plus first visits to Scotland and Luxembourg. Return journeys includedÂ Santorini and Zambia where Adrian and his wife went on walking safari. Over the summer Adrian was in Bayreuth for its big Wagner anniversary year, reviewing the new Castorf Ring Cycle for the UK press. He followed this by a long drive round Turkey's Black Seas coastÂ and a shorter cycle ride from Venice to Mantua. With the 400th anniversary of the Hanoverian monarchs approaching fast Adrian visited Hanover, Berlin, Potsdam, Regensburg and Nuremberg. He also spent time in Athens and Helsinki. In 2013 Adrian was Guest Editor at Britain's Finest Hotels and in June 2013 he edited the hotels section of the new Dorling Kinderlsey Eyewitness Guide to Great Britian. "Where has this wonderful country been all my life?" he tweeted. Adrian is currently Contributing Editor to the international series, Famous Hotels (www.famoushotels.org). 2014 After beginning the year in Morocco and Gstaad Adrian won the award for Best Travel Article in a Magazine 2013 as presented by the Italian Tourist Board. Subsequent travels have included Berlin, Dublin, Athens, the Amalfi Coast, Santorini, Boston, Venice, Florence, Caligari, Vienna and Rwanda, India and Mantua. 2015 Having an extension built at the family home meant that at the begining of 2015 Adrian was only travelling short haul. 2015 trips included Paris, Gstaad, Zurich, Vienna, Geneva, Santorini, Morocco, Italy, Croatia, Montenegro and New England. But most of Adrian's travels were within the UK, including visits to Scotland, Suffolk, Essex and Oxford for the Sunday Times Travel Magazine. Travels in 2016 and 2017 included familiar favourites like Rome, Venice, Santorini, Paros and Athens as well as Germany, France and Switzerland but also journeying further to Jordan, America and Madagascar. Travels in 2018 included North Carolina, Rome,Venice, Scotland, Helsinki, Krakow and Florida. Adrian began 2019 as Writer in Residence on Ocean Drive, South Beach Miami. Travels in 2019 will include Miami, Venice, the Cyclades, Athens, Puglia, Sorrento. A long-held enthusiasm for hotels has resulted in Adrian being commissioned to write histories specifically for over 20 UK hotels.